Supplied: In one litre containers of peat free compost, healthy and well established, approximately 20-40cm (1 foot) high, with full planting and aftercare instructions. A very tidy and attractive columnar form of our beloved native hornbeam, this cultivar (Frans Fontaine) is ideal for even the smallest of gardens and is often grown as an avenue tree. 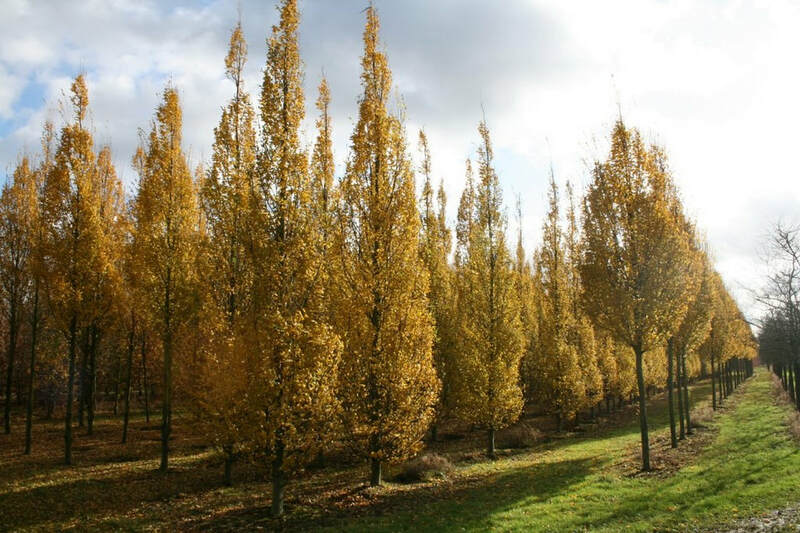 Similar, especially when young to C.betulus ‘Fastigiata’, this Dutch clone ‘Frans Fontaine’ discovered only 40 years ago retains its very columnar habit, having a spread of only 2-3 meters on a mature tree. Unlike the more ubiquitous 'Fastigiata' form, Frans Fontaine preserves the attractive lateral boughs of the species and retains its columnar habit throughout its life. The foliage is a vivid green colour in spring/summer before turning dark yellow and orange in autumn. It tolerates pollution and soil compaction, making it an excellent choice for street tree planting. Good wind resistance and deeply rooting, 'Frans Fontaine' grows well on any reasonable soil and is an excellent choice for poor soil conditions including heavy clay. A particularly useful tree for landscape architects, an avenue of Frans Fontaine makes a beautiful feature in the landscape. Fully hardy.